Bleacher Report’s Media Lab commissioned 10 artists from around the world to create the original, interactive artworks in a digital gallery that commemorate David Beckham’s legacy on and off the field. 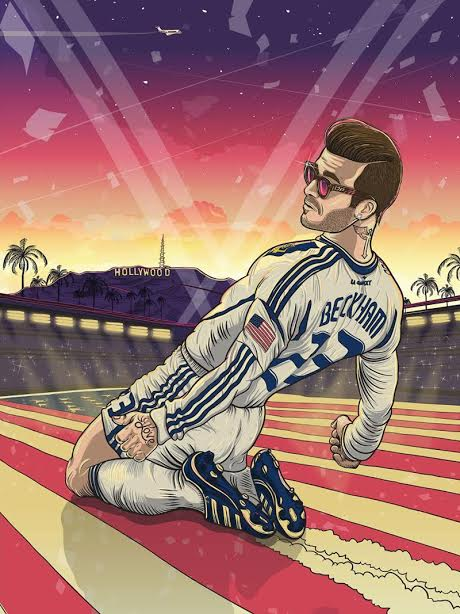 Check out the gallery of David Beckham pop art here. And here’s where he intends to mark his four decades on the planet. This entry was posted in Beckham, Galaxy by Nick Green. Bookmark the permalink.